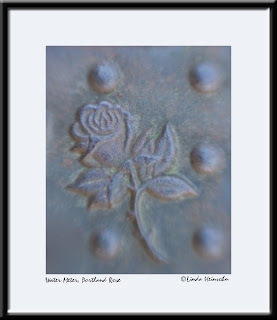 Many of Portland's water meters have a rose on them. I think they're graceful and elegant. I took this with the lensbaby.